Disclaimer: All items are inspired by artists renditions. These kits are not endorsed by BBC or its affiliates. Scarf kit inspired by our favorite time lord. 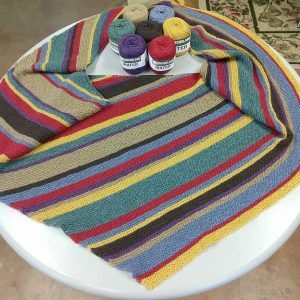 Worsted Weight, 30% Domestic Merino, 70% Acrylic, 100 grams, 200 yards each. 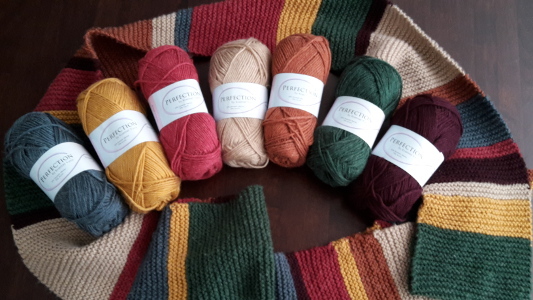 Note: 13th Doctor kits come with enough yarn for each section of the scarf when used with the pattern link included with the kit. I LOVED this kit! The colors come together to make a beautifully feminine and updated 4th scarf. 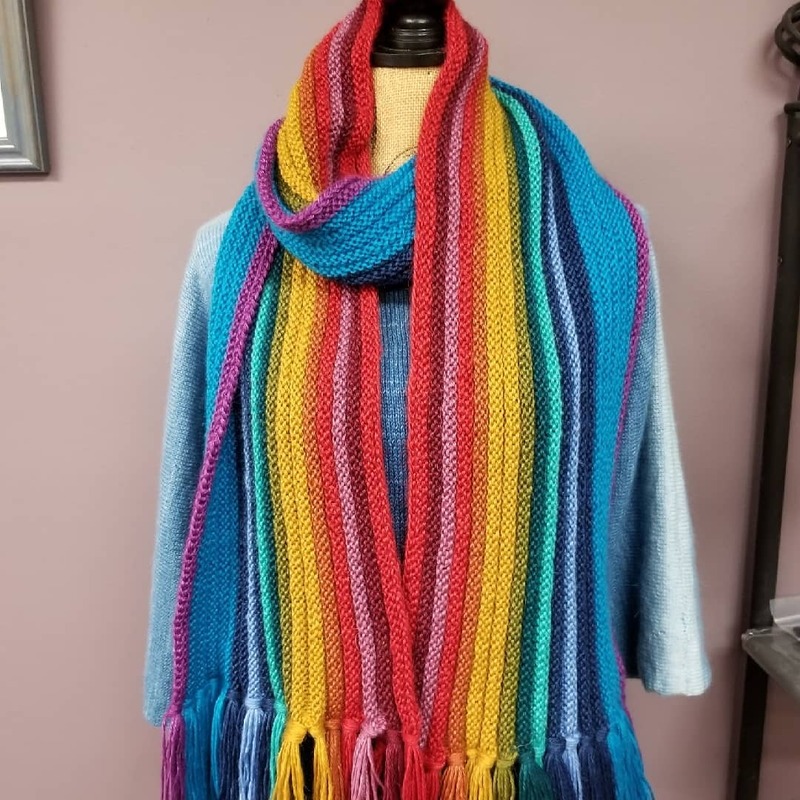 I bought the kit as a Monday Madness deal and should have bought at least 10 more considering all the family and friends who are begging me to make scarves for them! Anyway, I used the kit for my daughter who receives compliments on her scarf every single time she wears it. People cannot believe her dear old mum hand knitted it. 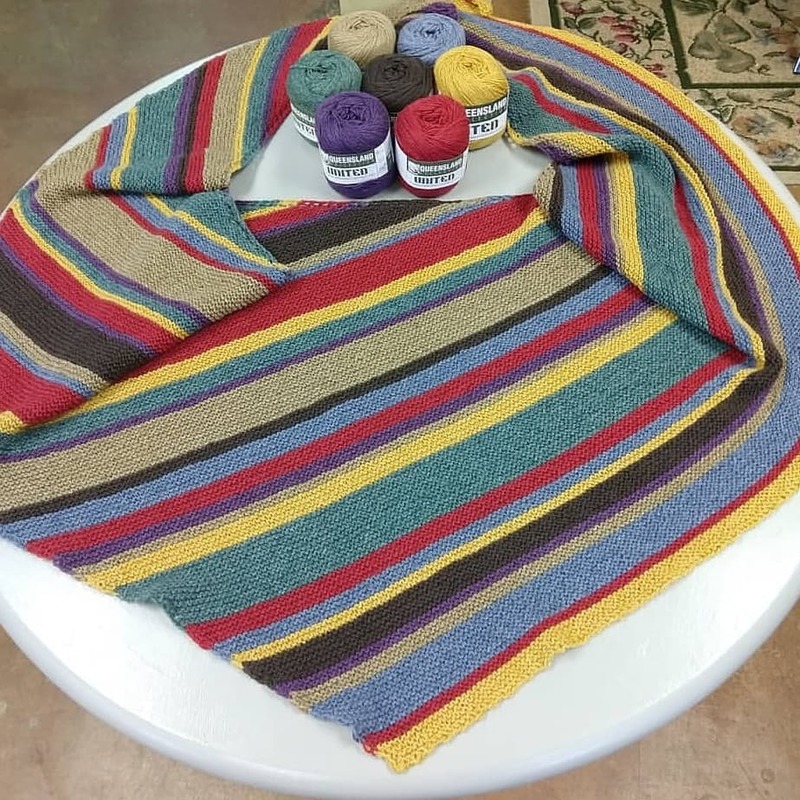 And, might I add, it was the first “real” project I ever knitted.